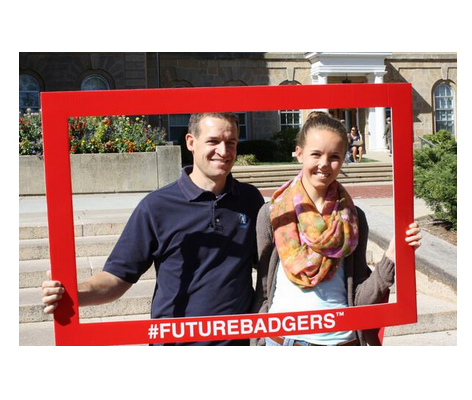 Help students picture their future at your school with creative custom frames. This is a fun, themed promotional item that can easily be incorporated into campus yield events, direct mail, and additional marketing ideas. The custom frame helps achieve the goal of engaging students in a memorable way with a social media component. We created this custom frame for the University of Wisconsin-Madison and wrote about it in this case study. Here’s our guide for how to use a custom frame at your school. Pick a favorite spot on campus to have custom frames setup during a campus tour, open house, or yield event. Think of a picturesque, iconic spot on campus. 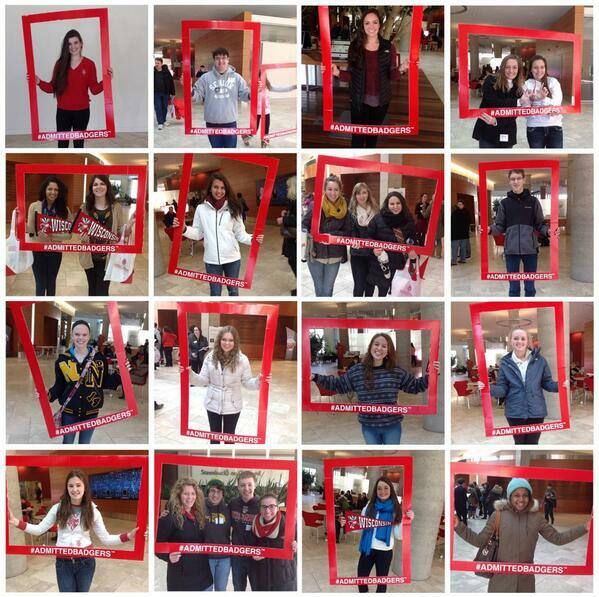 Assign staff members or current students to have prospective students pose with the frame as part of your event or visit. If staffing is limited, place on a stand to keep it in place. Another staff member should take pictures with a Polaroid and / or camera phone. Share digital pictures via social media using the hashtag imprinted on the custom frame. Email, tag, or private message students a copy of the picture. If using a Polaroid, pictures can be shared with students on the spot and posted to a bulletin board. Remind students of their on campus experience by mailing a smaller, magnetic frame along with a thank you note. The note can include a generic picture of the magnetic frame displaying a picture taken with the large custom frame on campus, or an actual picture of the student for a more personalized touch. Direct students to check out pictures of all admitted students on a URL that includes links to your admissions site. Bold, call to actions can promote campus overnight events, invite students to join an incoming class group on social media sites, or instructions on how to secure their place on campus. For UW-Madison, we created smaller magnetic frames and had them inserted them into envelopes that were imprinted to help streamline mailing of their admitted student packets. “Picture your Future here” themes can easily be integrated into existing marketing. Whether printed or electronic, all communications to students can include custom frame imagery. Emails, posters, Facebook, Instagram, Twitter, and Snapchat could feature similar imagery. Admissions counselors could travel with custom frames to bring to high school visits or events and share pictures via social media. 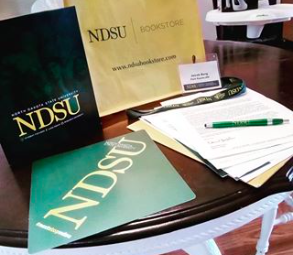 The custom frame is an ideal product for engaging prospective students, tying in social media, and taking advantage of the #selfie photo sharing trend. To view additional information on the custom frame, visit our admitted student showroom or read our case study. How would you use this campaign on your campus? After researching, presenting, and helping our clients select the best promotional items for their projects, we really enjoy receiving feedback on the item and the results of our client’s overall program. It is truly rewarding to know that we have played a part in an organization’s efforts to meet their goals. This positive feedback is what makes our jobs fun and exciting each and every day! 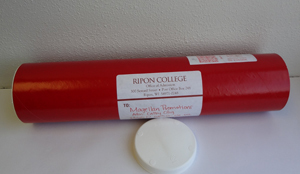 When we reconnected with our friends at Ripon College, we were thrilled to hear about their Class of 2017 Water Bottle Photo Contest program. 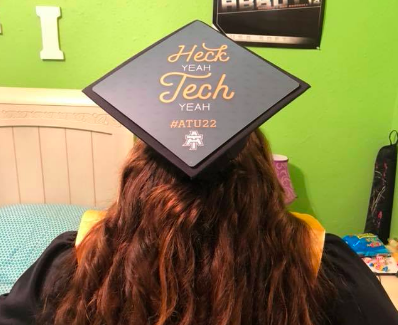 This was the first time they incorporated promotional items in their strategy to encourage newly admitted and deposited students to interact with the Class of 2017 Facebook page. They mailed students a stainless steel water bottle packaged in a red mailing tube, so it would definitely stand out. This contest was successful in creating engagement with the new class, leading to new interactions and conversations in the social media space.